Belgian rider Kenny Belaey is an international competitor with an enormous trophy cabinet who has won no less than three World Championships and six World Cups this decade. This year the Monty / Redbull rider came second in the World Championship in Australia before going on to win the World Cup in New Zealand. 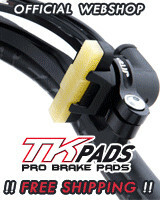 He is the UCI’s No. 1 seed. Kenny Belaey is also a rider who works hard to give trials a more professional image and a bigger audience, both in the media and at the many events throughout the year. We informed you in March of an ambitious project that Kenny was undertaking with the Extreme Sports Channel, a massive and unprecedented project for the sport: in its tenth year the channel has produced a comprehensive documentary on trials and on Kenny. “Kenny Belaey’s Big Time” is a three-part documentary produced and presented by Kenny himself that plunges us into the heart of the discipline! Extreme followed Kenny throughout the 2009 season (almost seven months of filming) to film his competitions, training and trips around the world (Spain, England – where he went to London for the biggest street ride in the world – and the USA), where he met some legends of the sport, including Hans “No Way” Rey, Ot Pi, Dave Mirra, Jeff Lenosky, Aaron Chase and Danny Macaskill! This allowed Kenny to look back at the history and fabulous progression of the sport. The documentary also shows that trials is an important skill at the basis of many other MTB disciplines and that it has become a truly professional sport. Three 25 minute episodes were produced and shown in 55 countries to 23 million viewers – a big first for the trials world! The first episode went out on the 6th of December in the UK and will be shown in France from the 2nd t the 6th of January at 07.30, 14.30 and 17.30. The first episodes are already online! Following the first episode that looked back over the history of the sport and in which we were introduced to some of the legends of the sport (Kenny Belaey’s Big Time (1/3)), here’s the second episode of this exceptional documentary, shown for the first time on Sunday the 13th of December, uploaded by Andy Green. Kenny starts by taking us to England for the biggest street ride ever organised, orchestrated by UK street rider Jack Meek, where Kenny meets Danny MacAskill and got a bit excited about the dynamism of the UK street scene. Next it’s of to the US where Kenny takes us to an amazing indoor park, chats with Hans “No Way” Rey and other US MTB legends (Dave Mirra, who has a go on Kenny’s Kamel 231, Aaron Chaase, Jeff Lenosky and Mike Steidley). Hans then invites Kenny to visit him in California and to come riding with him in Maui. The second half of this episode is set in this paradisiacal place with the two stars riding a bit of trials on the coast before heading off to explore the island and to ride at some spots the like of which we have never seen! For more info on the series, head over to Kennybelaeysbigtime.com! 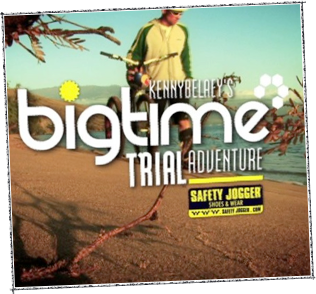 Here’s the first episode of "Kenny Belaey’s Big Time", the exceptional trials documentary produced and presented by Kenny Belaey himself, plunging us straight into the heart of the sport! Björn Henrici, alias «Mister Limelight», is back with a new DVD with an impressive cast (including Benito Ros and Abel Mustieles), in which our street rider Pierre-Charles Thomas makes an appearance! The making of video from a photoshoot with Kenny Belaey in New Zealand on behalf of his sponsor Red Bull. 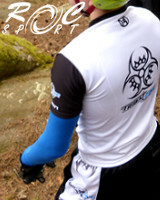 Photos and video by Graeme Murray, a master of mountain bike photography! Guillem Mauri, the Spanish street sensation! Guillem Mauri, a Spanish comp rider who is just 17 years old, had a go at street and sent us this astonishing video! Young English rider Scott Wilson has sent us a video retracing some of the highlights of his 2009 season, with footage from some of his competitions and demos.